ChargeCard is the brainchild of California-based Noah Dentzel and Adam Miller, a product that attempts to fine a balance between the versatility of a regular USB charger and the portability of something that fits in your wallet. Funded on Kickstarter, the ChargeCard project raised more than three times its $50,000 goal, catching the dual wave of Kickstarter and simple smartphone accessories. 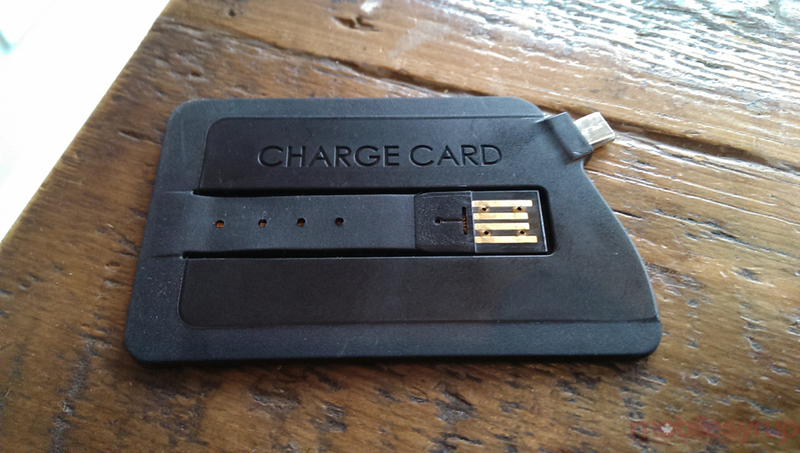 At its core, ChargeCard is a simple Micro USB charger in the shape of a business or credit card. One side has a non-removable micro plug and in the middle, held relatively tightly with clips, is a tractable USB 2.0 plug. 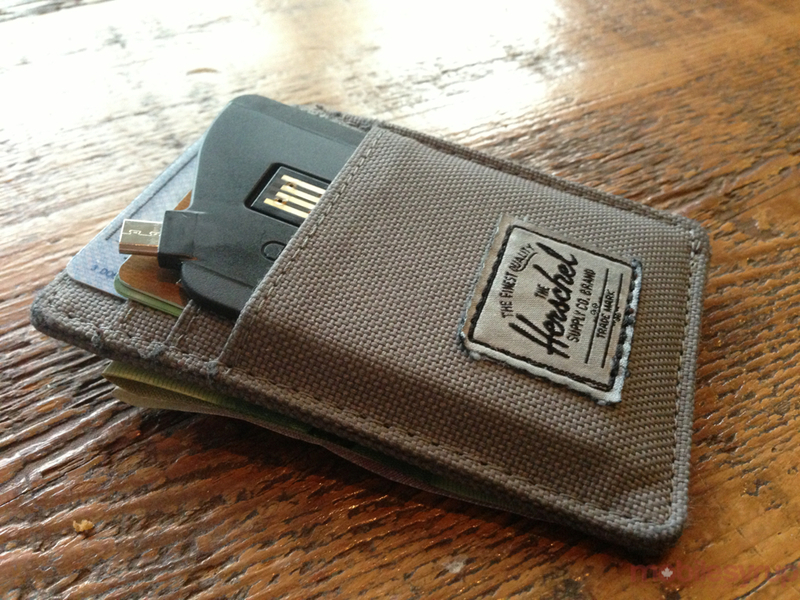 When ChargeCard is stowed away, it fits easily into a wallet or bag. It may not be the first charging cable you turn to, but it’s fantastic for use in a pinch when you’re near a computer or a USB-based charging outlet. Made of a hard, slightly flexible ABS plastic, there’s little chance the thing will snap in half. The USB arm employs a “flexible thermoplastic elastomer,” and stows easily back into place while not in use. At $25, ChargeCard is a lot more expensive than a replacement USB cable, but it fits into your daily life more easily than curling up a long cord or stowing a dock somewhere in your bag. Some of the cost comes from the fact that each Card is manufactured in the United States, but coupled with free shipping it’s not a bad deal at all. Unfortunately, the Micro USB version of the ChargeCard doesn’t double as a stand like the iPhone 4/4S version; the off-centre micro plug angles the phone too far to the right. It is sturdy enough to stand a phone upright if you find the right perch, but it’s not a recommended use case. There’s a Lightning-compatible iPhone 5 version coming in a few weeks, which came after the initial Kickstarter roadmap. 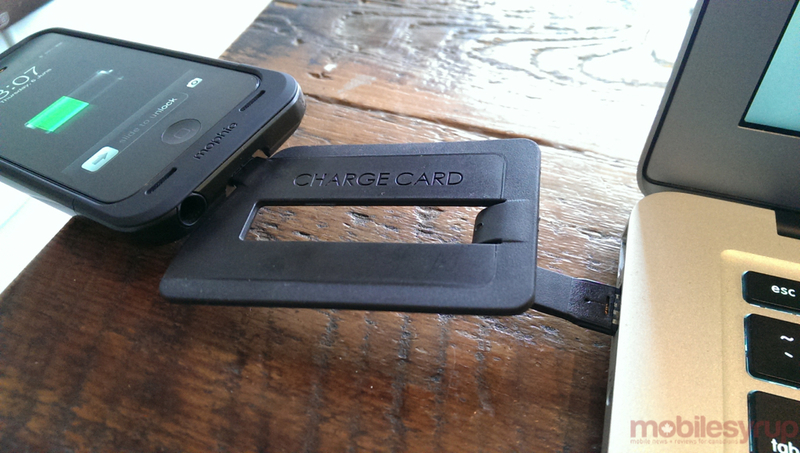 ChargeCard is compatible with all Android, Windows Phone and BlackBerry devices. The company is currently offering free international shipping, so check out ChargeCard for Micro USB if you’re interested.